A few years ago I found this lovely flint tool on the field margin a few yards away from the Bronze Age burial mound at the top of Patterson’s Bank. Solstice sol (“sun”) and sistere (“to stand still”). On a gloomy day I had little expectation of seeing the Solstice sun. I decided to seek out a Prehistoric Rock Art panel near Roxby. The site is located across from a narrow ridge that runs from the moorland to the coast. 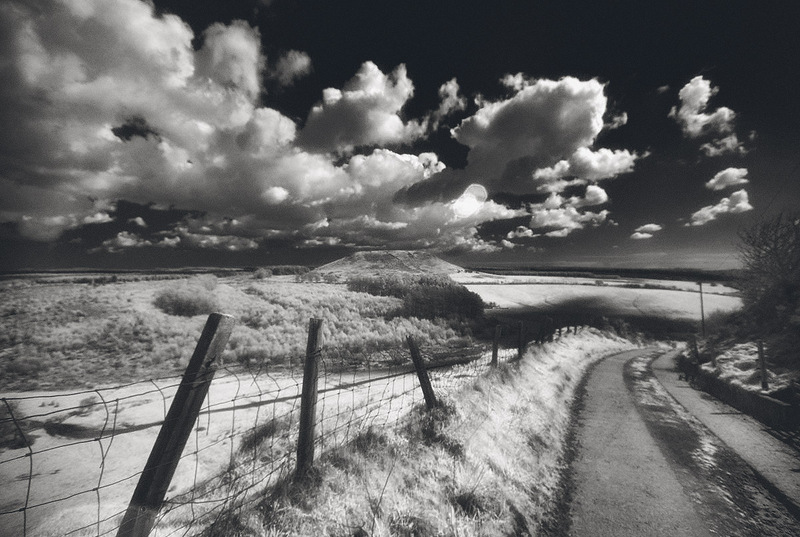 The ridge was formed by Roxby and Easington Becks running in parallel towards the coast cutting deep ravines into the glacial till. At some points the ridge narrows to the width of the track with near-sheer drops on both sides. There are three known Prehistoric burial mounds in this valley. One in the woodland 250m to the west of the carved stone and another pair 1km south where the Birch Hall and Scaling Becks merge to form the Roxby Beck. I follow the muddy footpath from Ridge lane down through the woods to a small gorge where a wooden bridge crosses the beck. The sound of running water is everywhere. The low solstice sun finally makes an appearance. At the top of the bank the woods give way to fields. The field is pegged out for pheasant shooting. I spot a wooden structure on the hillside roughly where the stone should be. The stone sits on swampy ground at the foot a low hill. The landowner has erected a fence around it to prevent damage from livestock. The stone is beautiful, it contains a number of different motifs, different sized cups, some with rings, linear motifs and a couple of faint rings that seem to ‘zone’ certain areas of the stone. Many of the cups are quite eroded, you have to move around the stone to catch the light falling across the surface, revealing the fainter carvings. Quite a lot of stone has been dumped on the boggy ground. A spring breaks through at the stone and runs down through the field to the Beck. The Solstice sun breaks through beside a dump of large boulders. 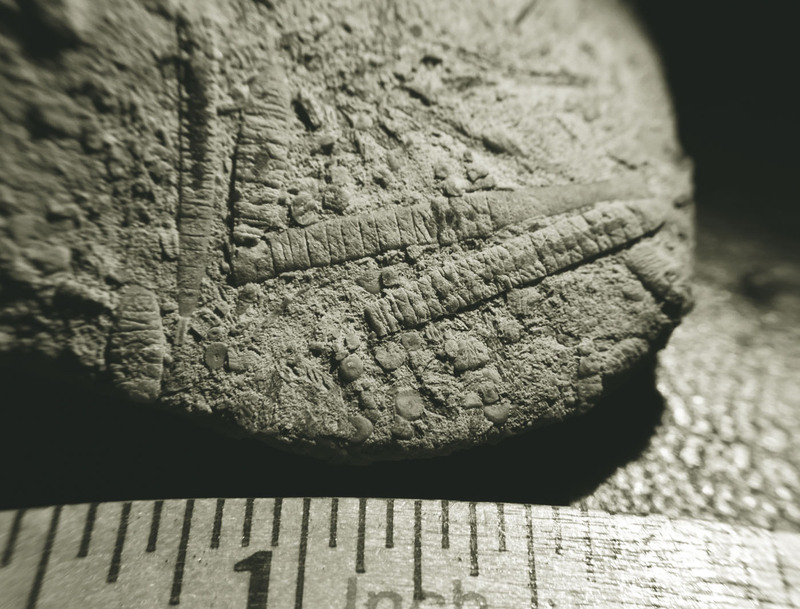 When showing people rock art for the first time, they invariably come up with their own definitive interpretation of the meaning, usually a map/chart related explanation. Show them a second and third panel and they begin to develop doubts. Over the years I have visited many rock art sites both home and abroad. I’ve concluded that we will probably never really know the true meaning of the carvings because we can never know the mindset of the people who created them. The best explanation that I can come up with is that the carvings may be an abstract representation of an invisible reality for the people who carved them and that the meaning may change depending on the locality. On the North York Moors there seems to be an association with burial monuments and trackways but this is not always the case. A couple of years ago I attended a workshop at MIMA They invited people to help create a timeline for local art. My suggestion was Prehistoric Rock Art along with prehistoric pottery, sadly neither suggestions were included in the final timeline. I recently bought a copy of a new book called The Old Stones. The Book describes itself as ‘A Field Guide to the Megalithic sites of Britain and Ireland’ and ‘the most comprehensive and democratically selected list of prehistoric sites that has ever been put in a book like this.’ The book is a collaborative work and utilises the knowledge and experience of the users of the Megalithic Portal website. I have been visiting prehistoric sites around Britain and Europe for over 30 years but I don’t consider myself experienced enough to give a qualified opinion on the national coverage of the book so I’ll focus on the treatment of North Yorkshire and Cumbria. 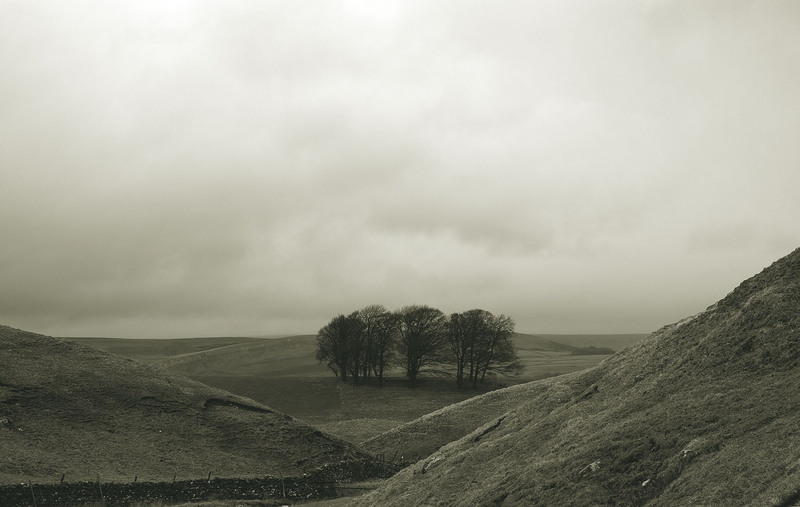 The gazetteer covers the major monuments of the Yorkshire Wolds, the Ure-Swale Plateau and a couple of Pennine sites. Sadly only two North York Moors sites have made it into the book, Nab Ridge and The High and Low Bridestones. Both of these are lovely sites although it could be argued that the Low Bridestones are merely a group of fairly underwhelming low walls. 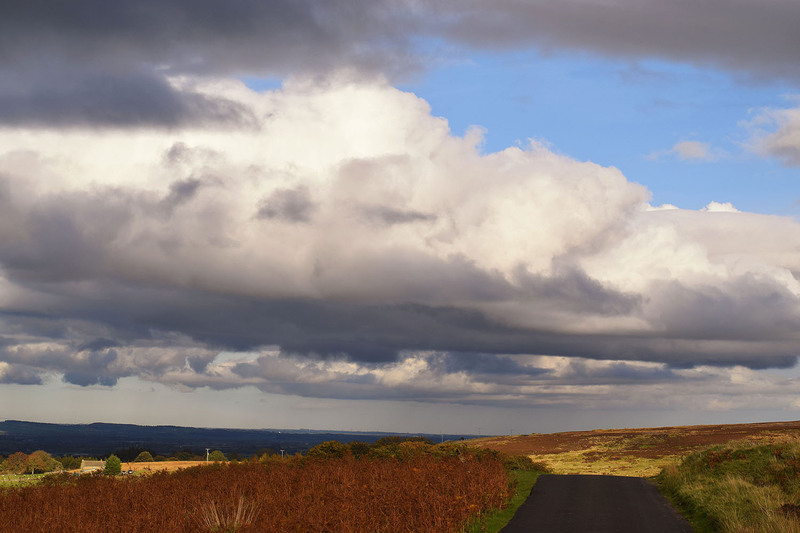 There is no mention of any of the impressive moorland standing stones or burial monuments. Even the nationally important prehistoric rock art site of Fylingdales Moor with its 200+ carved rocks and monuments, fails to get a mention. The book then travels westwards to Cumbria and manages to capture many significant Cumbrian sites. Surprisingly the Greycroft and Elva Plain circles fail to get a mention. 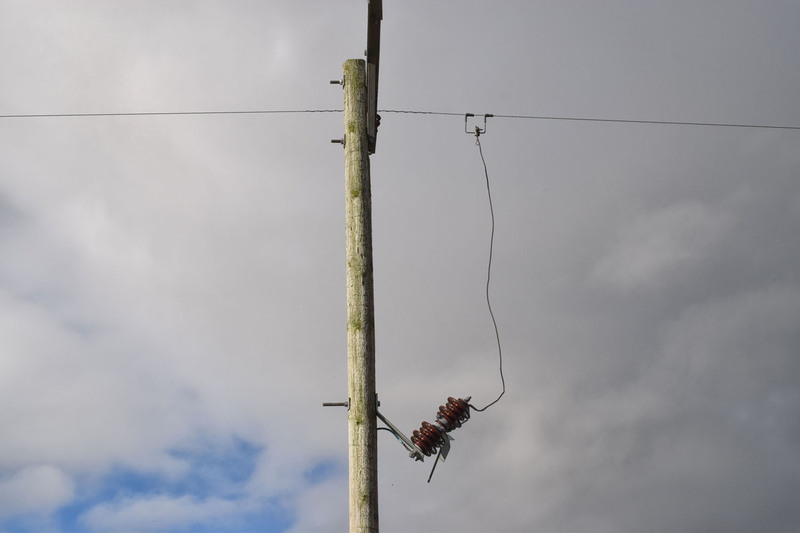 After Cumbria the book back-tracks east to Barningham Moor, then jumps 60 miles north to Northumberland. 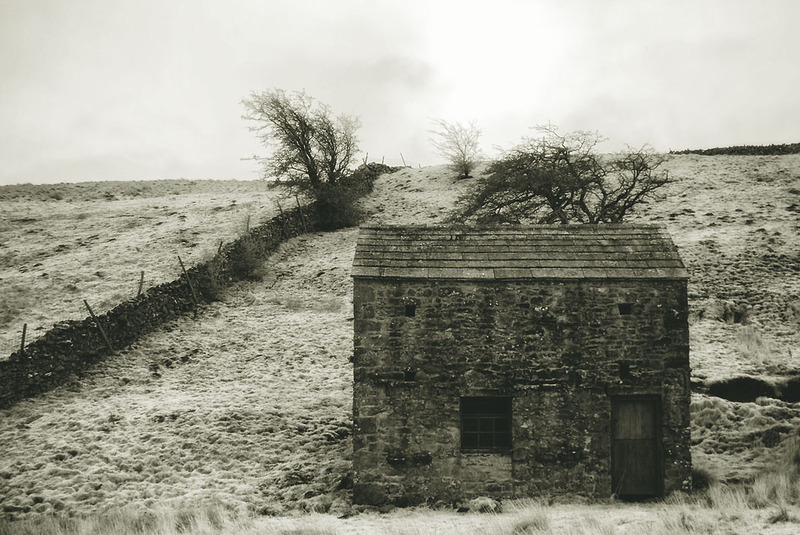 The book promotes itself as a field guide, this is only part true, in eastern Cumbria it would be a handy book to keep in your car but in the case of the North York Moors and the Northern Pennines it would be of little use. It is also quite a heavy book to be toting around in your rucksack. My final gripe, the regional guides section at the end of the book fails to list any guides covering Northern England, Wales, most of Scotland and all of the island of Ireland. That said, it does list many useful many online resources. Putting together a book of this size and scope was always going to be a massive task. There are over 1000 sites listed in the book and it is admirable that such an endeavour has even been attempted. Despite my criticisms, I am enjoying reading the book and would recommend it to anyone who is interested in the Prehistoric sites of our islands. It is well laid out, easy to read and has full colour photographs and maps. 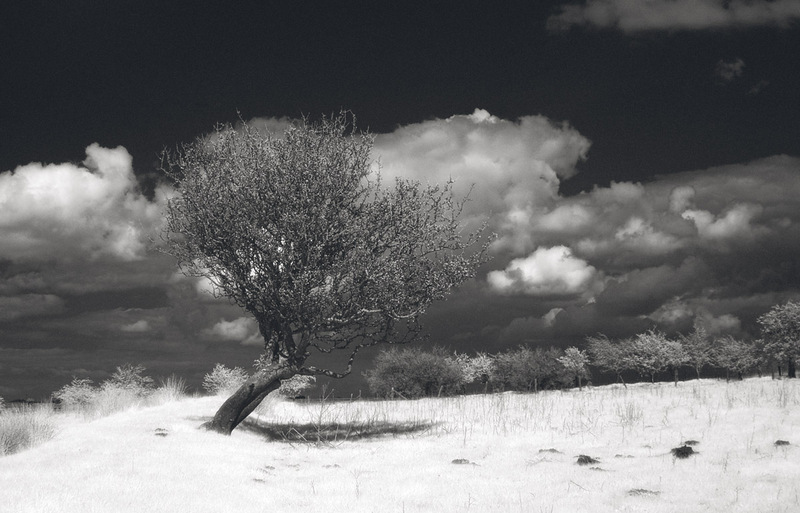 There a forward by Mike Parker Pearson, an lovely piece discussing Prehistoric Landscapes by Vicci Cummins. There are a number of excellent articles scattered throughout the book on topics ranging from the Top 10 Urban Prehistory Sites to Archaeoacoustics. This book serves to remind us of the sheer range and quantity of prehistoric monuments that exist in our islands. It is a fitting tribute to the hard work and devotion to recording these sites by Andy Burnham and the members of the Megalithic Portal website. ..Knox was perhaps the first to recognise the stone triangle. 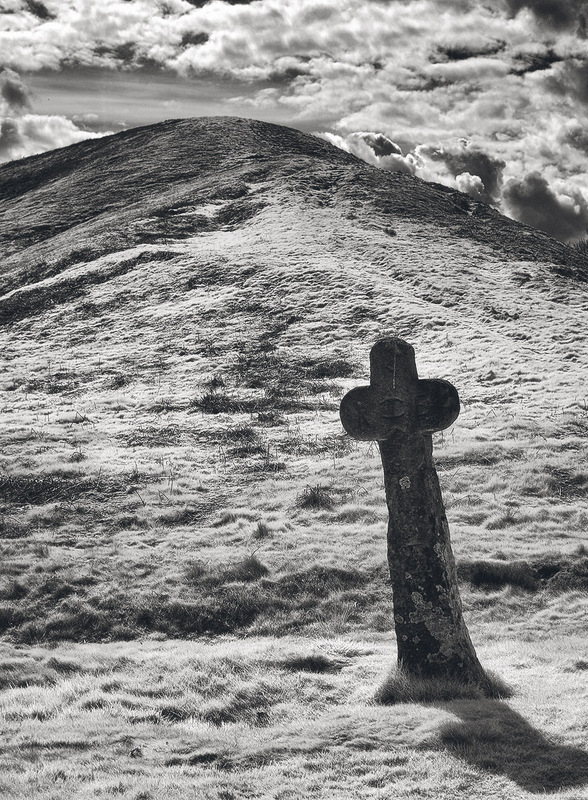 He records one from Ramsdale Hill Top, Two miles west-south-west of Robin Hood’s Bay made of stones 4-6 feet high..another near Stoup Brow forms an acute triangle, the tallest stone known as the Grey Horse Stone being not more than 5 feet high. Following the sacred Ure up through Wensleydale, I have a yearning to visit a henge. 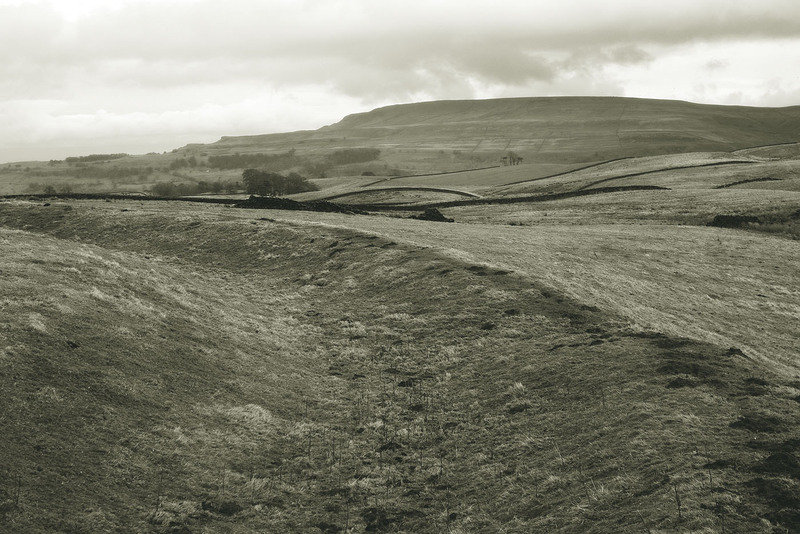 I arrive at Thornton Rust and walk out into the empty upland pastures, everywhere is sodden. 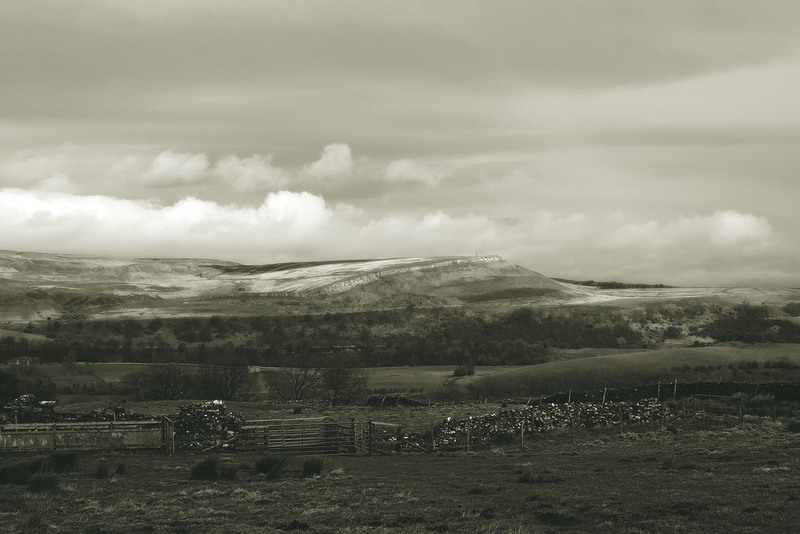 Across the valley, Carperby Moor. Flint tools have been found here, the most northerly evidence of Palaeolithic hunter gathers in our islands. 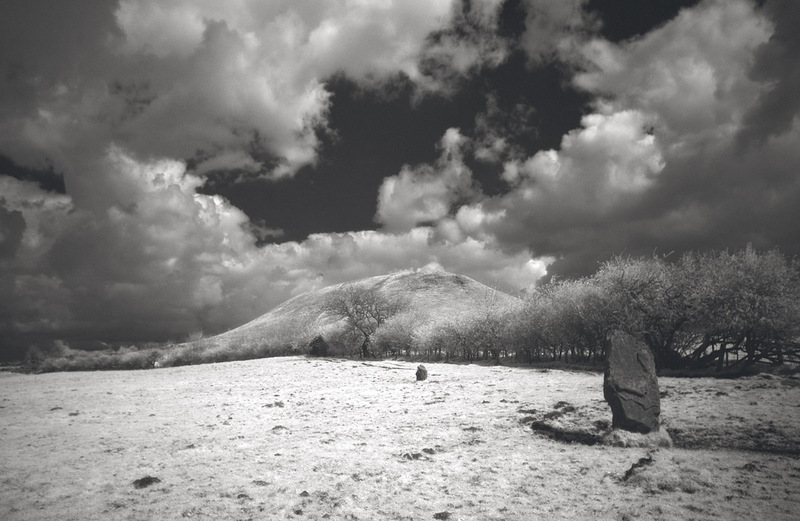 Beneath the great Yoredale scar is Ox Close with its ring cairns and stone circle. Gill Beck, the beck is full, the stepping stones are nowhere to be seen. I walk across the swollen beck, my cheap boots offer no resistance to the icy water. 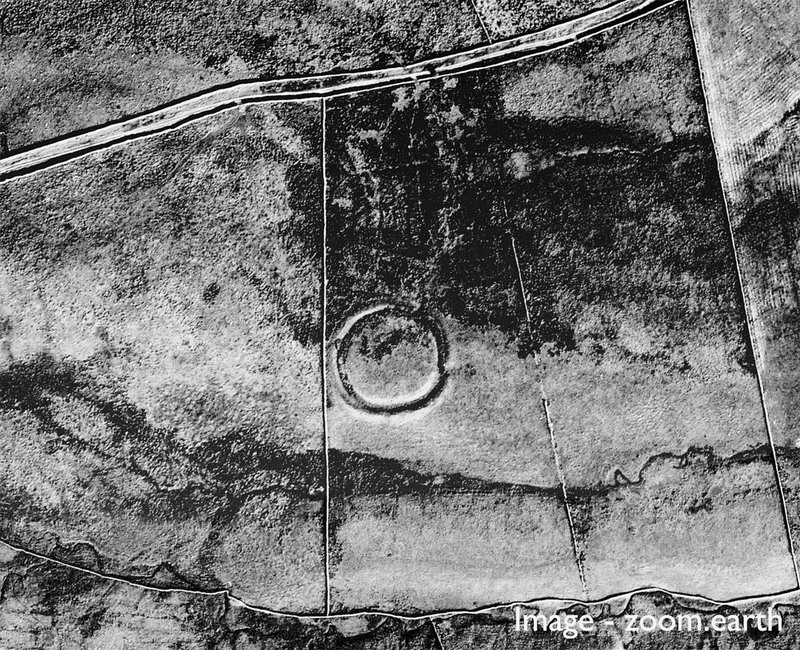 The Henge sits on a low ridge, the peak of Addlebrough, with its cup and ring marked cairn, is visible to the west. To the east, Height of Hazely and the prehistoric settlement of Burton Moor. Cold and wet I happily retrace my steps back to the village and then home. A small momento collected from a molehill at the entrance to the henge. David Parker contacted me a few months ago and asked if we could meet up and have a chat about the Devil’s Arrows for a podcast he was putting together. I met up with David who is a lovely bloke, full of knowledge and enthusiasm. David has now released his podcast, the second in a series. I was way out on the height of the bank at Mayburgh Henge, 15 feet is probably a more accurate estimate. The Bronze Age monument at Street House was a round barrow not a long cairn. The long cairn was part of the final stage of the Neolithic monument. 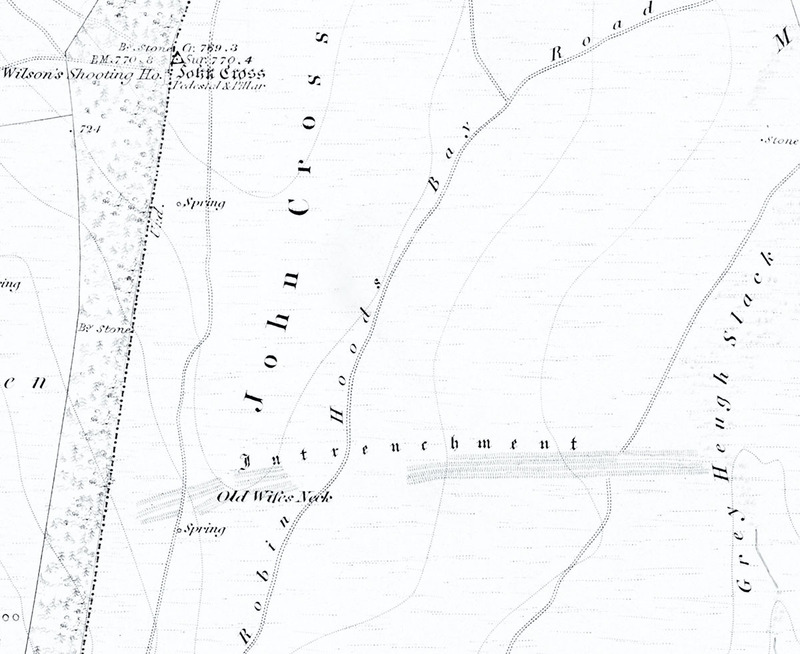 It all started a few years ago when I was studying a map drawn by Robert Knox. 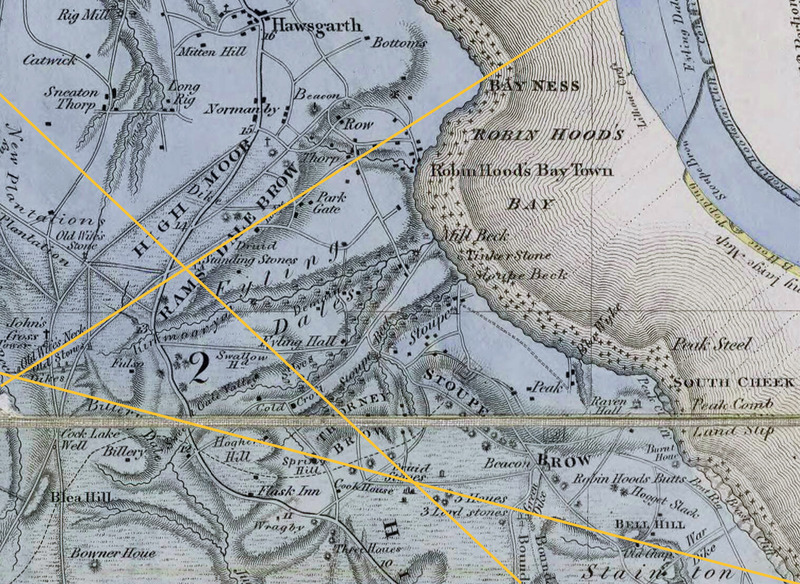 Knox’s map was published in 1849 and titled; A map of the country round Scarborough, in the North & East Ridings of Yorkshire : from actual trigonometrical survey with topographical geological and antiquarian descriptions / by Robert Knox, of Scarborough formerly marine surveyor to the East India Company, on the Bengal establishment. What caught my eye was a stone at a junction of a number of tracks on Sneaton Low Moor called the Old Wife’s Stone. This stone doesn’t feature on any subsequent maps and I couldn’t find reference to it in the modern literature. A few years ago I went looking for the stone and found nothing, my thoughts turned to it recently when it was announced that Sirius Minerals had been given permission to sink a mine at Sneaton. I knew that the road where the stone had been located would be used as an access road to the mine site and therefore, over time, could potentially be widened to take the heavy vehicles accessing the site. I decided to have another look for the stone before any improvement work took place. As on my previous visits, the only stones I could find were a couple of upright stones that had probably once served as gateposts and a stone carved with a ‘C’ and an ‘X’ marking the boundary of the Cholmley estate, this boundary was also the Medieval boundary of the Whitby Abbey lands. 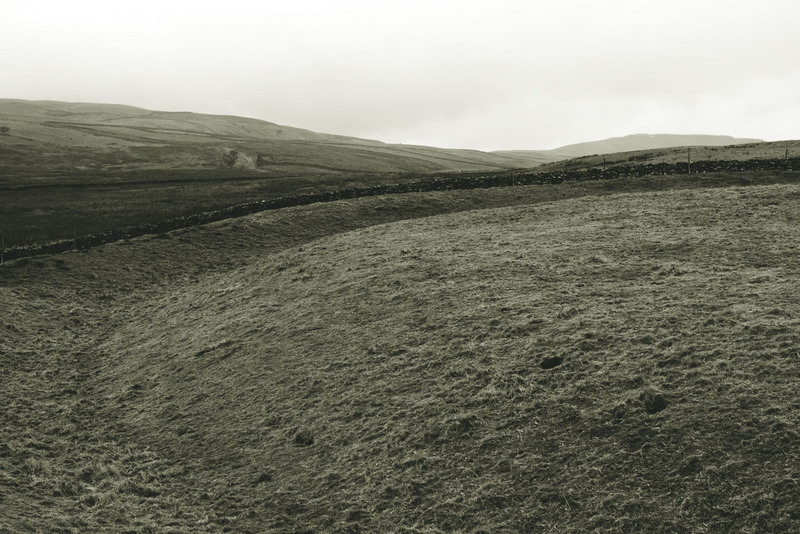 Having found nothing, I decided to head out onto the moor and follow the track south along Shooting House Rigg. Even in summer the moor here is boggy and is not particularly popular with walkers. Picking my way through the stands of low gnarly pines I was visited by at least a dozen large, curious, iridescent dragonflies, none would stay still enough to be photographed. Standing in this low wood in a bog surrounded by these beautiful insects with the sea-fret blowing across the moor was a magical, unworldly experience. One returning to the path, I noticed dozens of chirruping Stonechats perched upon the stone wall, as I approached they would fly on a few yards ahead of me, announcing my presence. This boardwalk has recently been built to help walkers cross a particularly boggy section, the bleached timber contrasted against the red grass gives the structure a sculptural feel, it also makes a very satisfying sound as you walk across it. The moor on this northern section was used as a bombing decoy site during WWII. Rows of lights gave the impression of buidings and factories when seen from the air and were know as QL sites. Amongst the QL sites were also Starfish decoy sites which simulated bomb damage by setting fires and producing smoke. 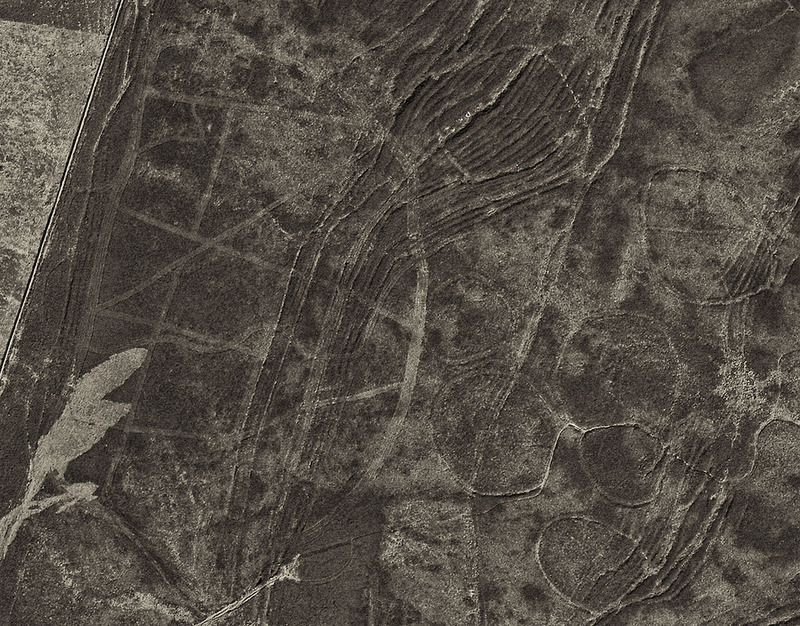 The remains of these sites can be seen on the ground as a series of low trenches, they are best appreciated on aerial photographs such as the one above. Heading south I came to an empty stone socket, this is all that remains of the John Cross, a Medieval moorland cross. The last time I was here there was a stone marked with the Cholmley ‘C’ stuffed clumsily into the base. This stone is now laying nearby. I also noticed another stone with a worked section that would fit into the socket and wondered if this could be the remains of the original cross. 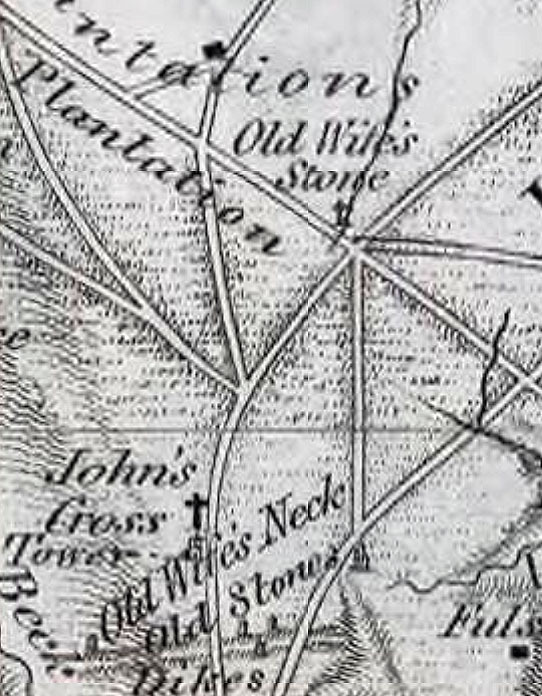 A few mason-cut stones poked through the turf indicating the location of the pedestal marked on the first OS map of the area, published in 1853. 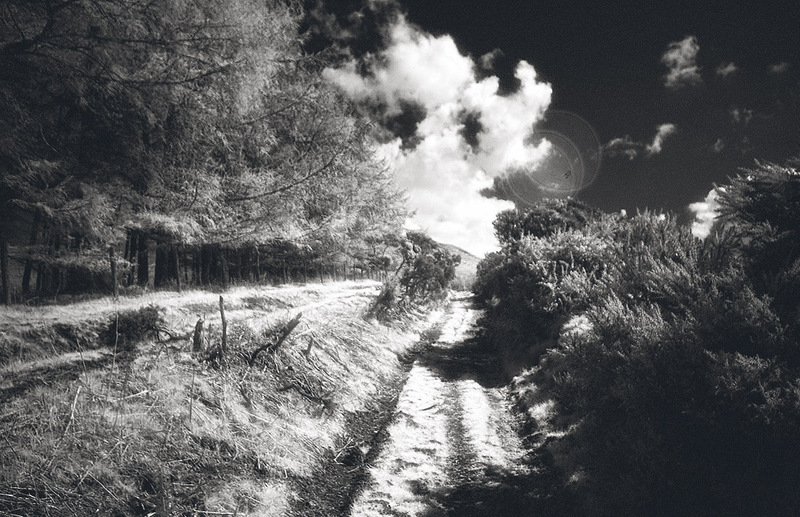 I followed the path down to one of my favourite places on the North York Moors, The Cross Ridge Earthworks and the standing stones known as the Old Wife’s Neck. In Archaeological terms the earthwork is classed as a Prehistoric Cross Ridge Boundary comprising an impressive series of three parallel banks and ditches running across a spur of land for almost a kilometer. 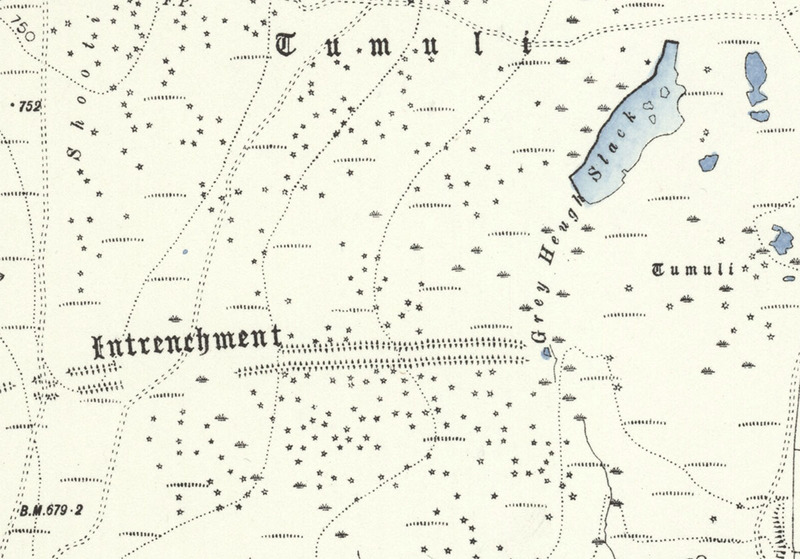 To the west of the dykes is a large cairnfield, old maps also show cairnfields to the north and south of the dykes, much of which was destroyed during WWII when the moor was used as a military training ground. The site has a personal significance to me, it contains a pair of standing stones one of which is the Old Wife’s Neck. I consider this anthropomorphic megalith to be a shrine to the Divine Hag of the North York Moors, The Cailleach, the primal deity of our islands. I have written about the Old Wife/Cailleach elsewhere so I’ll not bore you with any more of my ranting here. After spending a little time with the Old Wife I walked down to the wide deep valley of Biller Howe Dale Slack. The slack is a remnant from the last Ice Age, when it was formed by water overflowing from an ice dammed lake in the upper Iburndale valley. 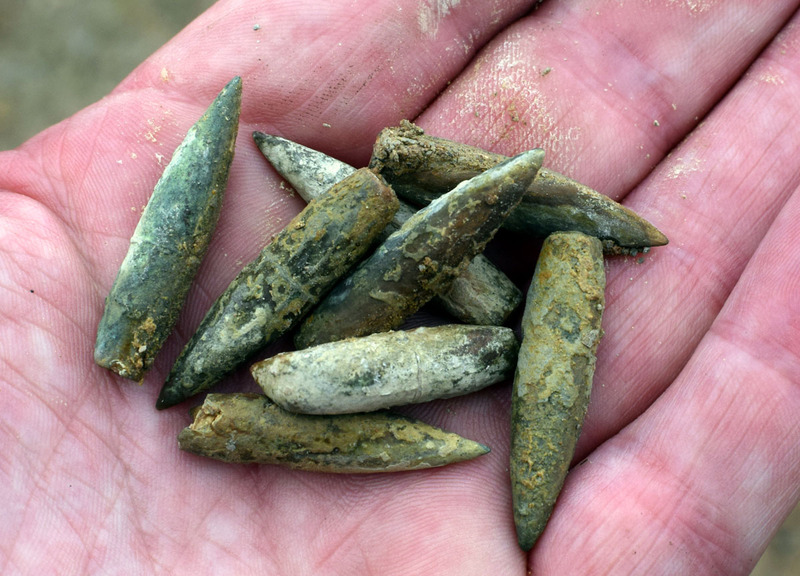 Elgee reported that hundreds of flint arrowheads were found in Biller Howe Dale and uses this as evidence for prehistoric warfare. I have followed up on Elgee’s source (The Gentleman’s Magazine 1857 ii 445-7) and there is no mention of the flint finds, the reference is actually to an article on the great Yorkshire antiquities forger Flint Jack. During my visit I did find evidence of warfare in one of the erosion scars. Unfortunately it was modern warfare, remnants from when this part of the moor was used as a training ground during the preparations for the D-Day landings in 1944.